Google Street Views on Google Maps can be a fun tool to play with, and yes, it is also useful. 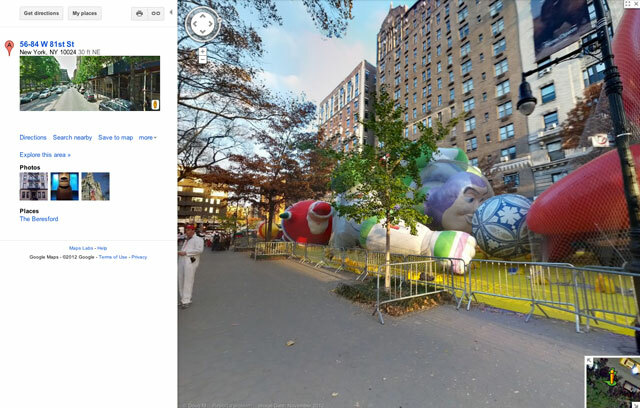 Yesterday, the Google Maps team posted on their Google+ page that they captured many of the balloons waiting to take off while sitting on 81st street in Manhattan. It is pretty neat, don't you think?